Into our therapeutic-grade lavender essential oil go a lot of care, quality control and the best bio-organic farming can offer. Thracian Oils stands by its 100% pure and natural product that’s been grown in company-owned fields under careful supervision. Lavender essential oil of the highest grade, suitable for therapy and medical purposes. Lavender that is grown on fertile fields in the cleanest region in Bulgaria. Access to wholesale quantities of organic product on an annual basis. International shipping to any destination and you choose how we ship it to you. As quantities are subject to seasons, it’s best you confirm your order now and we’ll have it shipped by any method of your choosing. As a manufacturer of natural lavender essential oil, Thracian Oils grows, distils and packages its product independently and has an expending network of other suppliers in Bulgaria. We’re able to get for you associated products at the same quality and excellent price right this instant. Anything you need in your line of work, we can arrange in a single phone call or email. 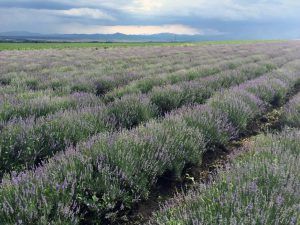 A hint of world’s most consumed essential oil – that of lavender – can trigger innumerable sensations, including gargantuan fields of violet-colored flowers at the background of a warm summer sky. But beyond its inimitable fragrance, lavender oil has swarms of other properties that benefit the overall health. The annals of ancient history dictate us that the oil of Lavandula angustifolia (lavender) has been worshipped for its medicinal effects since more than 2,500 years. At that time, the Greeks, the Persians, and the Romans infused their bathwater with hints of lavender to cleanse their skins. In this regard, the word “lavare”, originating from Latin, literally means “to wash” – thus, the name lavender. The ancient Phoenicians, Egyptians, and Arabians would dip garments in lavender and then wrap mummies because of its astonishing scent. The precipitous regions of the Mediterranean and the shores of northern Africa are the native home of lavender since it is a sun-loving plant. Nowadays, you can stumble upon lavender in Australia, throughout the U.S., as well as the southern regions of Europe. 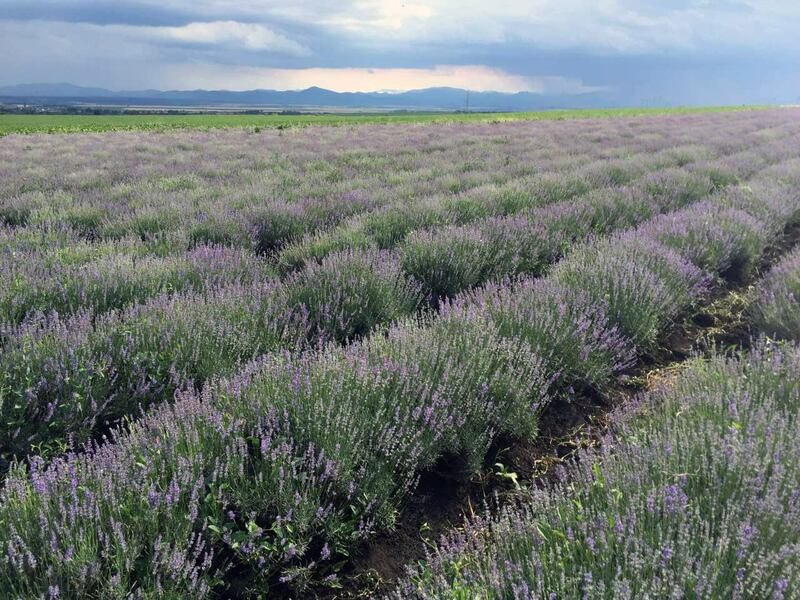 The biggest lavender producer in the world since 2011 is Bulgaria. The genus of Lavandula angustifolia comprises short-lived or annual herbaceous perennial plants, as well as small shrubs, subshrubs, or shrub-like perennials. The flowers of lavender are borne in whorls which are held on spikes above the foliage. In some species, the spikes are united in branches. High-end Bulgarian lavender oil bears a fragrance that is sweet and herbaceous, and has woody and floral hints. It can be either colorless or somewhat yellow-green to yellow. Lavender oil from Bulgaria possesses more than 150 active components, including copious amounts of ester – aromatic molecules that have calming, antispasmodic, and stimulating benefits. Camphor, linalool, linalyl acetate, and terpinen-4-ol are the principal botanical components of lavender oil while other constituents are lavandulyl acetate, geraniol, cis-ocimene, geraniol, and 1,8-cineole which are responsible for its anti-inflammatory, antiviral, and antibacterial properties. When in full blossom and possessing the maximum ester amounts, lavender flowers are picked and put through steam distillation to obtain the essential oil. Approximately 150 pounds of lavender are needed for the production of one pound of pure, high-quality lavender oil. By soaking the plant’s flower spikes in another essential oil, you can make a cold infusion. Lavender makes wonderful blends with nutmeg, pine, geranium, cedarwood, and clary sage essential oils. Lavender’s essential oil from Bulgaria is a fantastic alternative treatment for people suffering from insomnia because it induces sleep. Research has shown that the oil regulates the sleep cycle if it is put on the pillows of elderly individuals. Our nervous system can derive amazing benefits from the essential oil of Lavandula angustifolia because it is an excellent tonic for anxiety issues and works great on our nerves. In this regard, it aids us in the combat against depression, migraines, emotional stress, and headaches. Not only it is helpful in removing nervous exhaustion but it also enhances the overall mental activity. There are large amounts of research on its beneficial impact on our autonomic nervous systems, thus being advantageous for heart-rate variability regulation and encouraging good sleep. If you apply some hints of lavender oil on your skin, you can easily prevent the irritating bites of midges, mosquitoes, and moths. If you, however, happen to be bitten by these annoying insects, the oil also possesses anti-inflammatory properties that will greatly decrease the pain and irritation. When topically applied to the skin, Lavender oil has been demonstrated to promote collagen synthesis, as well as differentiation of fibroblasts, complemented by up-regulation of TGF-β. In other words, this proves that the oil of lavender possesses the potential to endorse wound healing in the early phase by accelerating the formation of granulation tissue which is a ground-breaking discovery since it can be a complementary treatment next to conventional therapy. The oil is also quite effective for eliminating urinary disorders since it stimulates the production of urine, decreases urinary bladder inflammations and cystitis, and restores the hormonal balance. It is of paramount importance that lavender oil is never ingested, but rather applied topically or inhaled through aromatherapy means. It is essential for the production of aromatherapy oils, soaps, gels, lotions, and gels. Conventionally, the oil is a principal component for the making of various perfumes. Getting regular massages with lavender oil is an amazing pain, muscle, and joint reliever, including tense and sore muscles. The oil of Lavandula angustifolia is undoubtedly one of the most used across the globe due to its aromatherapy, pain relieving, sleep-inducing, antispasmodic, ureteral, and anti-inflammatory qualities, among others.